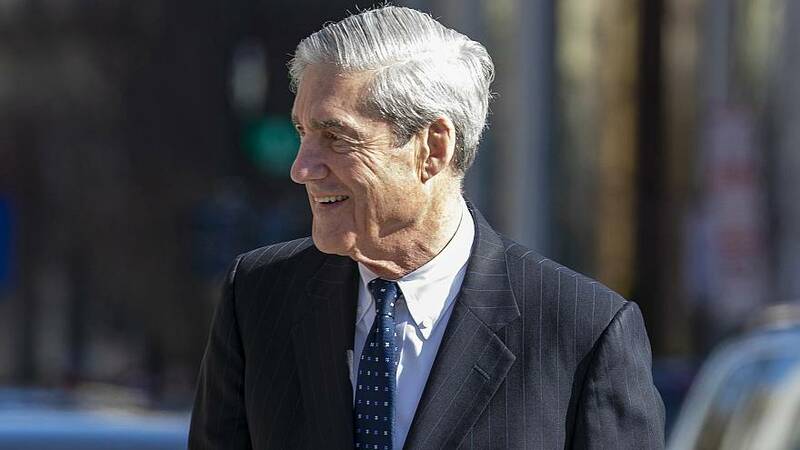 Sending a subpoena straight to Mueller — possibly bypassing Attorney General William Barr, who was in charge of the special counsel's office and provided a four-page summary of Mueller's report to Congress — is one of several options Democrats are considering as they seek to obtain the full report. The Democrats spoke on the condition of anonymity because they were not authorized to disclose private conversations. Barr's summary, sent to Congress just two days after he received the Mueller report, said the investigation did not find evidence the Trump campaign had conspired or coordinated with the Russian government. Separately, while Mueller's report "did not draw a conclusion" about whether President Donald Trump had obstructed justice in the investigation, "it also does not exonerate him," Barr's memo said. "This report did not exonerate the president," House Majority Leader Steny Hoyer, D-Md., said Tuesday, noting the unanimous and bipartisan House vote earlier this month for a resolution calling for the report to be made available to the public and Congress. "If that is not forthcoming, we will certainly consider subpoenaing not only individuals involved but also records and papers and transcripts," Hoyer said. Added Rep. Jim Himes, D-Conn., a member of the Intelligence Committee: "We're going to get the report even if it requires a subpoena." Democrats involved in the oversight process say they recognize that subpoenaing Mueller directly would be a nuclear option, typically done as a last resort. But they say it may become necessary because Barr — Mueller's boss and a Trump appointee — might not give a full accounting of the Mueller report without heavy redactions. Rep. Ted Lieu, D-Calif., a member of the Intelligence Committee, told NBC News that if the report sent to Congress is heavily "blacked out," then "we would be angry and likely pursue other routes," including a Mueller subpoena. Democrats say there is recent precedent for such testimony, pointing to then-FBI Director James Comey's testimony before the House Oversight Committee in 2016, days after declining to prosecute former Secretary of State Hillary Clinton over her private email server. In that case, lawmakers didn't pursue a subpoena but bypassed Comey's boss, Attorney General Loretta Lynch, to speak to Comey directly. "Barr could permit Mueller to testify but it doesn't mean Mueller will be permitted to answer every question," said Chuck Rosenberg, a former FBI and Justice Department official and MSNBC contributor. While Barr's summary stated that Mueller had found no evidence Trump conspired with the Russian government, Democrats want to know if there is additional information about the nature of the president's relationship with Russia or wrongdoing that doesn't rise to the level of criminality that should be made public. Comey announced on July 5 of that year he had chosen not to prosecute Clinton for her use of a private email server as secretary of state. But he then gave a lengthy press conference citing her missteps, calling her "extremely careless" in handling classified material. Democrats argue in this case that Barr, too, faces a conflict, pointing to a memo he wrote before his nomination as attorney general calling the Mueller investigation "fatally misconceived." Democrats say the memo was an audition for the job after Trump fired his previous attorney general, Jeff Sessions, who had recused himself from the Russia probe. Nadler has called Barr's initial summary "hasty" and "partisan." Caroline Fredrickson, president of the American Constitution Society, testified before the Judiciary Committee on Wednesday, saying that it was "quite unprecedented for the attorney general to assert himself in this way," referring to Barr clearing Trump on obstruction. Barr's decision to characterize the report without providing any details to support his conclusions "was a public relations masterstroke" that has allowed Trump to set the narrative, said Rep. Jamie Raskin, D-Md., a House Judiciary Committee member. "We are probably going to have to use every tool available" to obtain the report's most critical takeaways, he said.